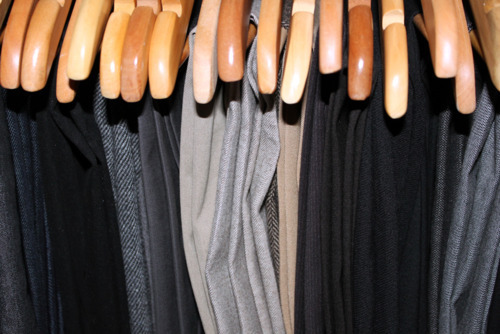 so i started with reacquainting myself with my work wardrobe – seriously exhausting. yes, i have a ridiculous amount of dress pants but in my defence they are of varying styles and for varying temps: cropped, bootcut, straight, wide-legged, light, dark, light-weight and wool. I live in Toronto and our canadian weather is unpredictable and our winters brutally cold so i have to be prepared right? This entry was posted in Offline: Tips & Musings and tagged pants, personal, work. Bookmark the permalink.